- AJ Styles took to Twitter today and said it's an absolute honor to face WWE Hall of Famer Kurt Angle for the Farewell Tour match on tonight's SmackDown. AJ wrote, "As much as I don't want to see it happen, it is an absolute honor for me to be @RealKurtAngle's final #SDLive match ever. We've been down many roads, seen a lot of places. Excited to share the ring with you one last time." 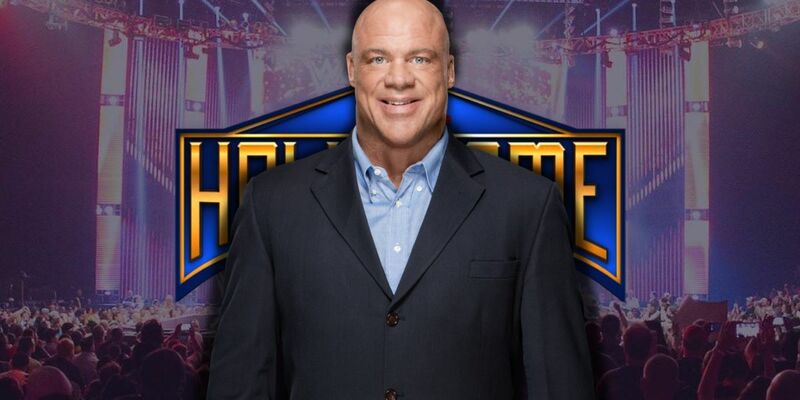 - WWE Hall of Famer Mick Foley recently spoke with Sky Sports and said Drew McIntyre should have been the final opponent for Kurt Angle in his Farewell Match at WrestleMania 35. "I think the two of them would rise to the occasion, it would be the biggest match of Drew's career," Foley said. Angle will be facing Baron Corbin at WrestleMania 35 while McIntyre will go up against Roman Reigns.. Angle noted in an interview that McIntyre was one of the names discussed for the match. There's been talk of WWE possibly changing Angle's opponent due to negative reactions from fans, but Corbin vs. Angle is still scheduled as of this week.